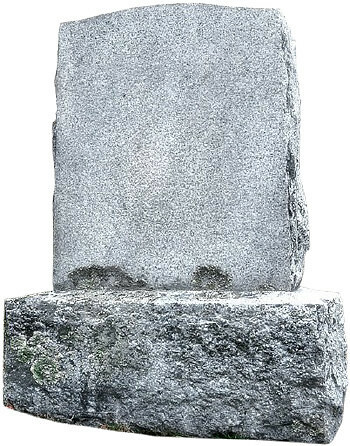 You are here: Home / WELS Blogs / Technology Blog / What Do You Want On Your Tombstone? What do you want on your tombstone? A curious question perhaps, at least until later in life. A very weighty question however as you ponder your life and what you have to show for it. Perhaps to rephrase the question you could ask “What is your legacy?” That is one of those questions for which an answer isn’t just living on the tip of your tongue. It’s deep. Very deep. This question is fresh in my mind as my father-in-law, Pastor David Witte, was called home to be with his Lord the week before Thanksgiving this year. While I never asked him about his legacy or his tombstone, I have been reminded each morning since his death about a possible answer. Each morning I listen to the Synod’s Through My Bible in Three Years narration from the WELS Mobile app. It’s also available from WELS.net. It’s a simple series that allows you to read, or listen, through your Bible over three years. If you’ve ever listened yourself, you’ve heard Dave’s rich voice sharing God’s Word with you. He read all 1095 entries, leaving behind a three year legacy which began about 2005 where he read for us every word in the Bible. Those of you who knew Dave wouldn’t be surprised to hear that he was passionate about this responsibility. He didn’t just pick up the Bible, turn on the microphone and start reading. He rehearsed. He reviewed previous recordings to make sure he was consistent in his pronunciation of some of those challenging Old Testament names. He even called up Seminary professors to get advice on pronunciations. He treated God’s word with the respect that it deserved and wanted to provide you with as faithful and passionate a reading as possible. He is gone, but this remains. I’d call that a legacy. Of course, throughout Dave’s ministry he did many other things and touched many lives. I’ve talked to scores who benefited greatly from knowing him. I certainly was one of them. He was truly the Lord’s servant. But as I sit at the kitchen table over breakfast listening to him read God’s Word to me, I think he’d be happy with that simple legacy. “I read and shared God’s Word.” Not bad. I’ll take that. Wouldn’t you? Reading God’s Word to a spouse, friend, your children, your grandchildren. If I had asked Dave what he wanted on his tombstone, I’m pretty sure it would have been some of the very words he spoke into that microphone. Perhaps “I know that my redeemer lives,” or “Faith comes from hearing the message, and the message is heard through the word of Christ.” Fitting. Right? It’s clear that his life and legacy was not about him, but what was done for him. That understanding, that faith, is what empowers us to make something of our lives, because we know that it isn’t so much our legacy we should care about, but His! You can hear God’s Word each day at: https://wels.net/serving-you/bible/ or by installing WELS Mobile on your smartphone or tablet by searching for “WELS Mobile” in the app store. https://wels.net/wp-content/uploads/2017/01/blogTechTechnology.jpg 400 711 Martin Spriggs https://wels.net/wp-content/uploads/2013/04/WELS-logo3.png Martin Spriggs2015-12-11 09:08:432017-01-31 09:48:28What Do You Want On Your Tombstone? Mission Stories: CELC Albania Holy Word, Austin/Pflugerville, Tex.